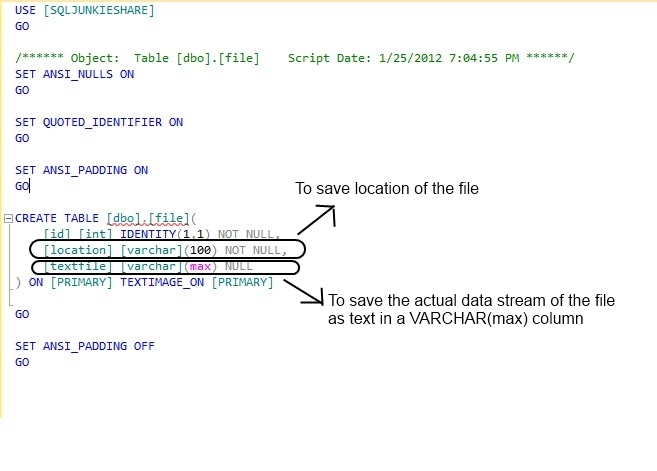 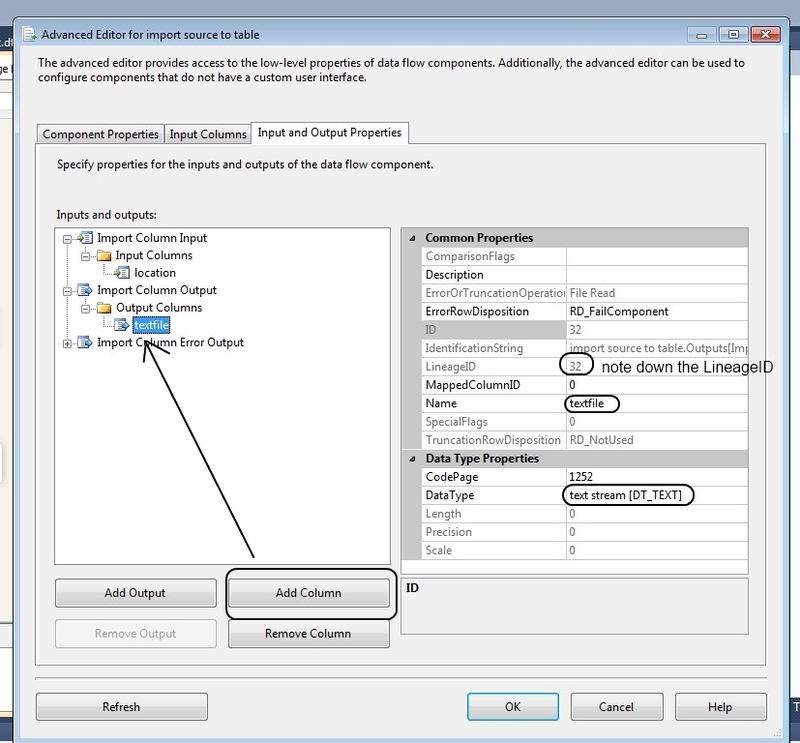 The data type of the output column must be DT_TEXT, DT_NTEXT, or DT_IMAGE. 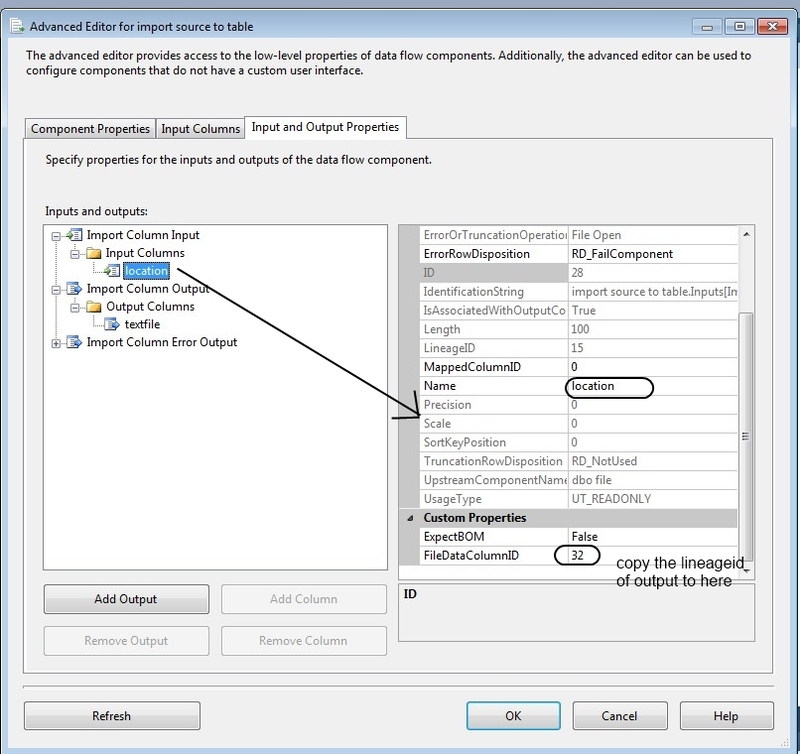 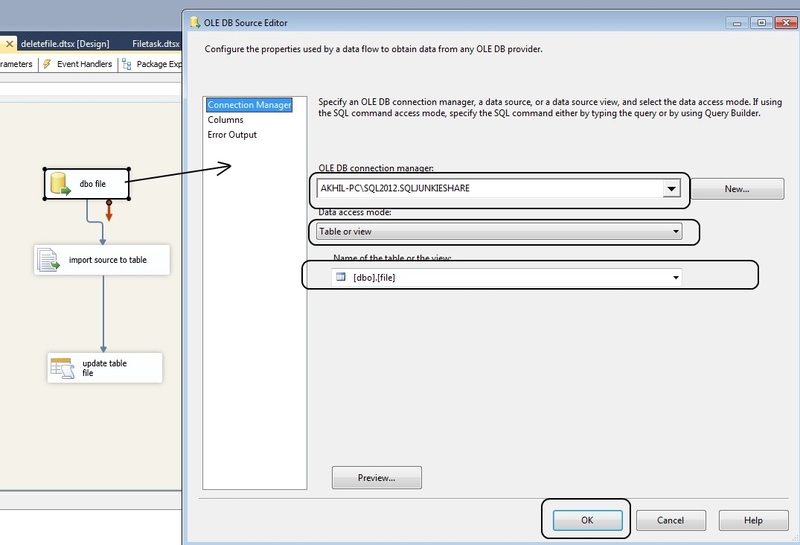 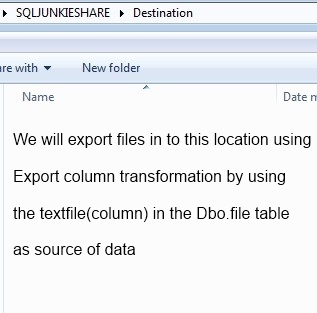 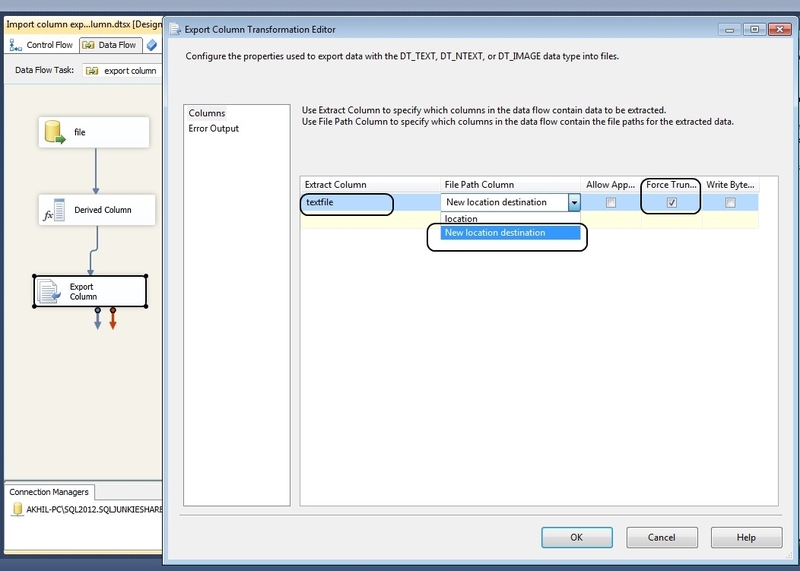 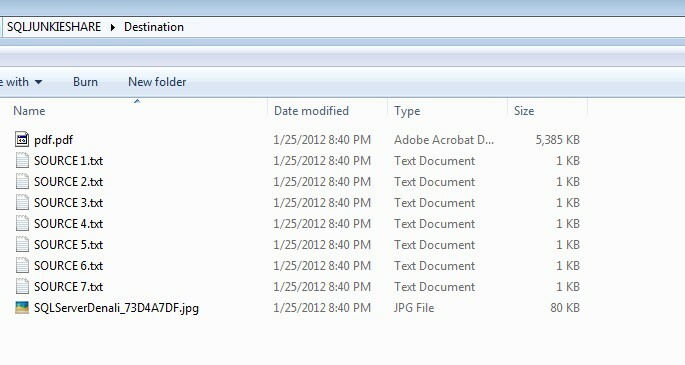 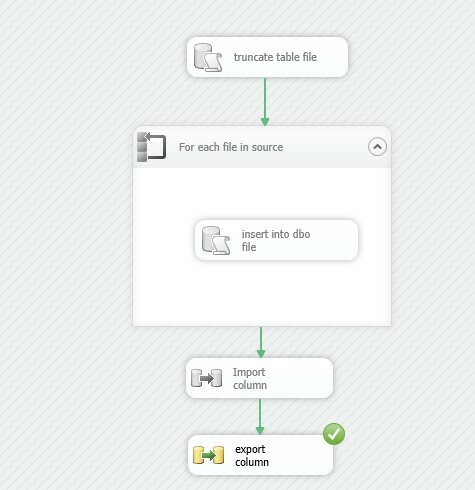 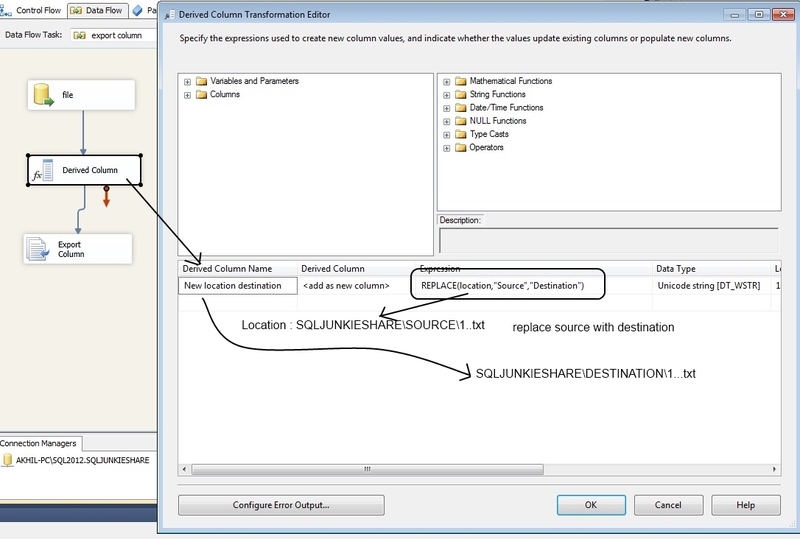 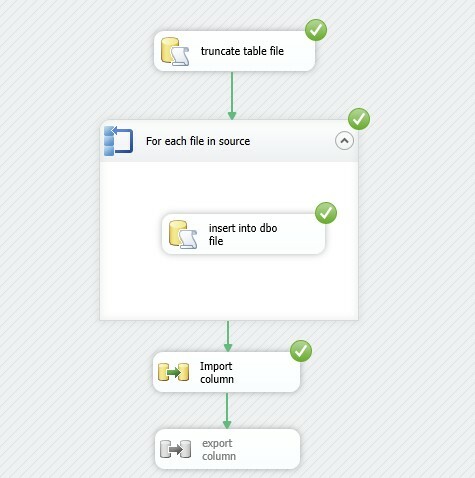 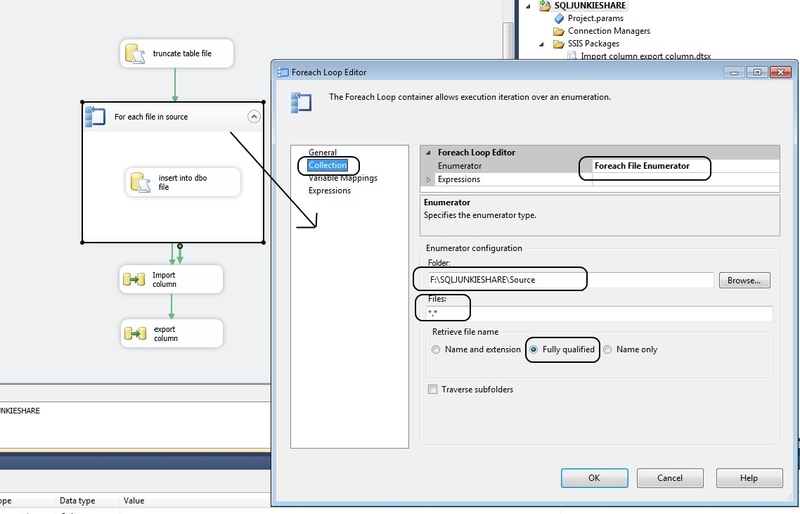 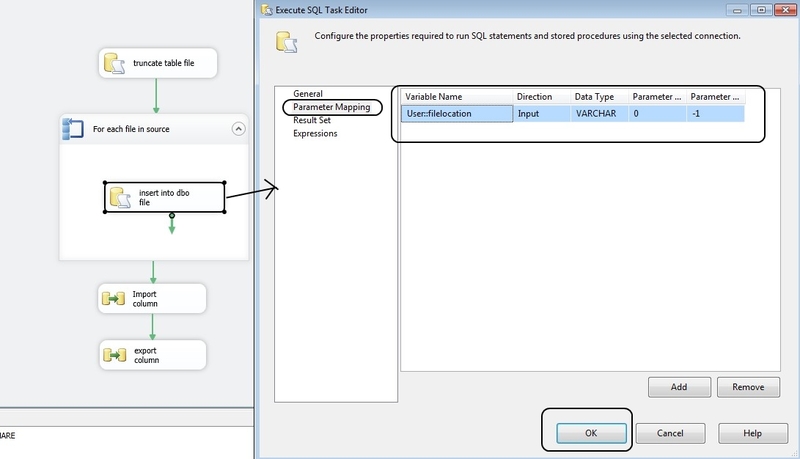 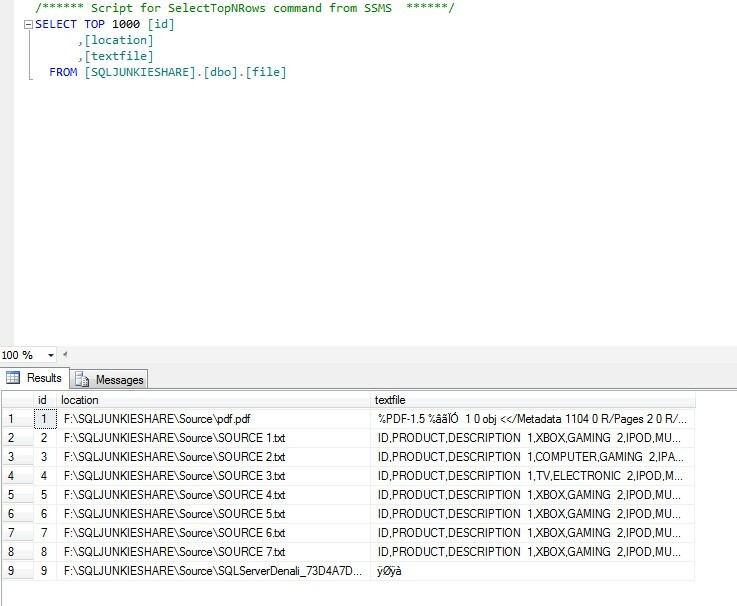 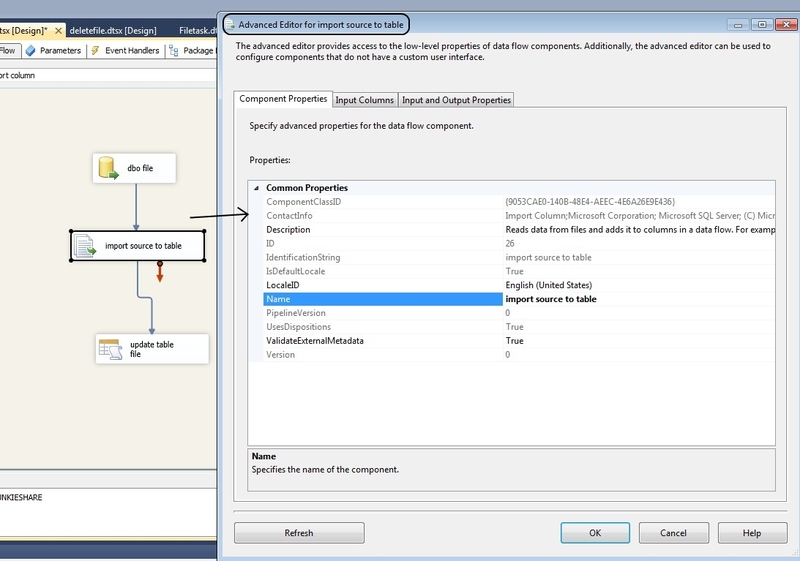 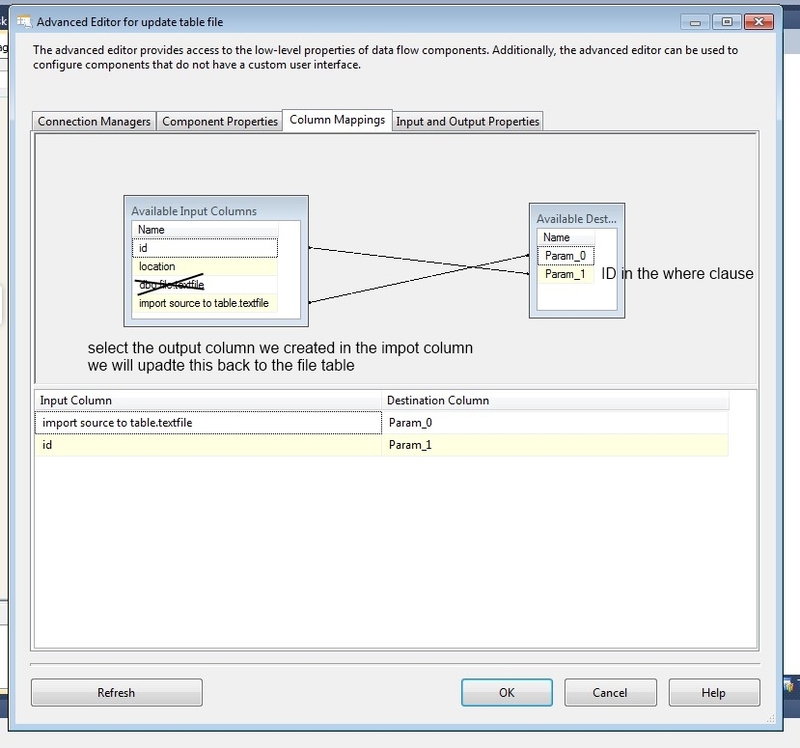 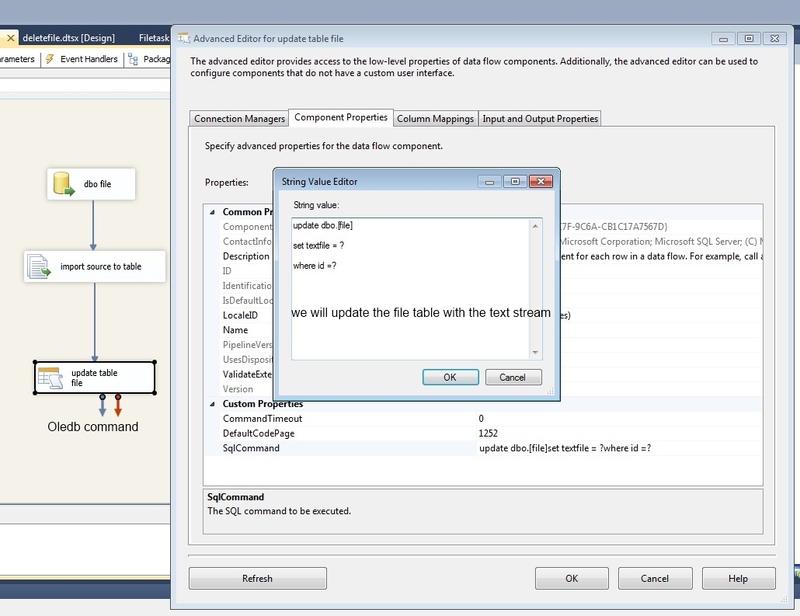 he Export Column transformation reads data in a data flow and inserts the data into a file. 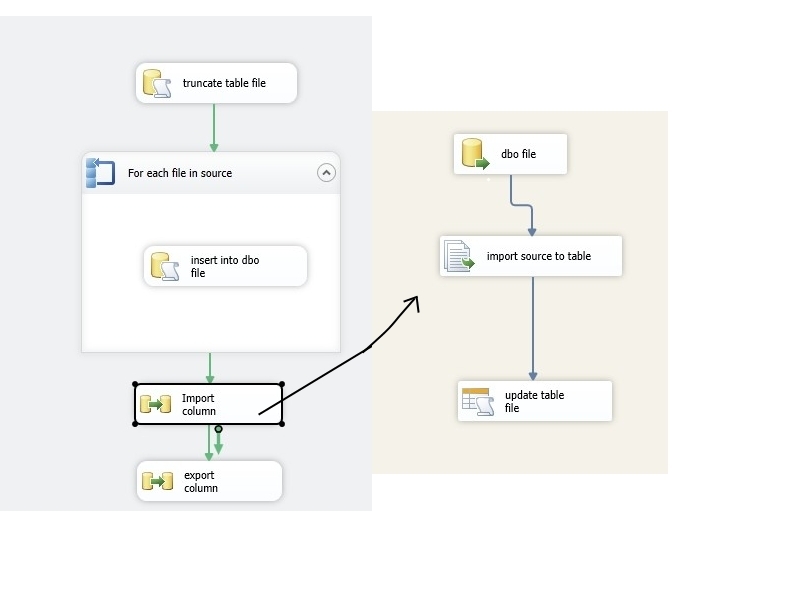 For example, if the data flow contains product information, such as a picture of each product, you could use the Export Column transformation to save the images to files. 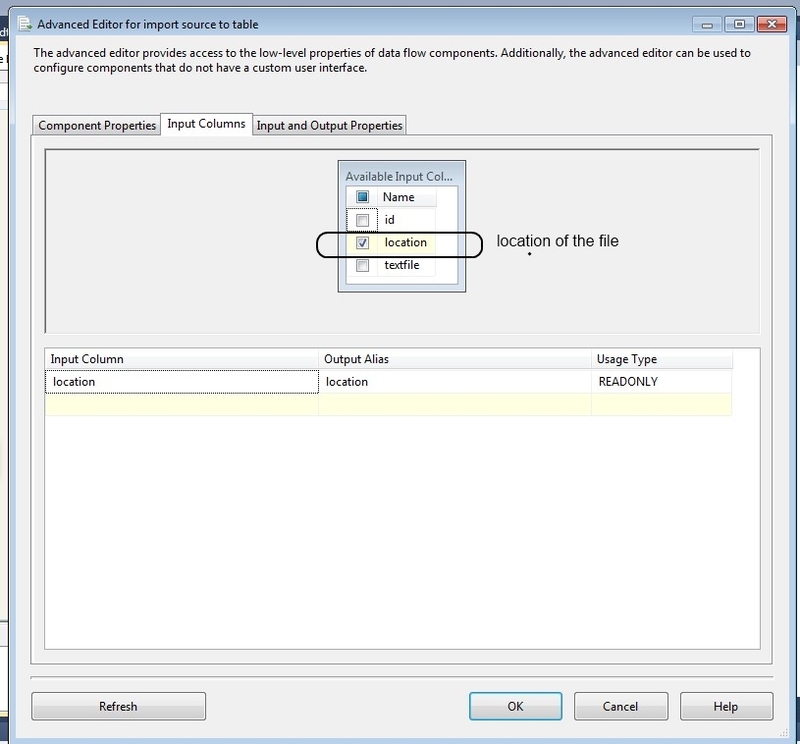 if not exist…” failed with the following error: “Syntax error, permission violation, or other nonspecific error”. 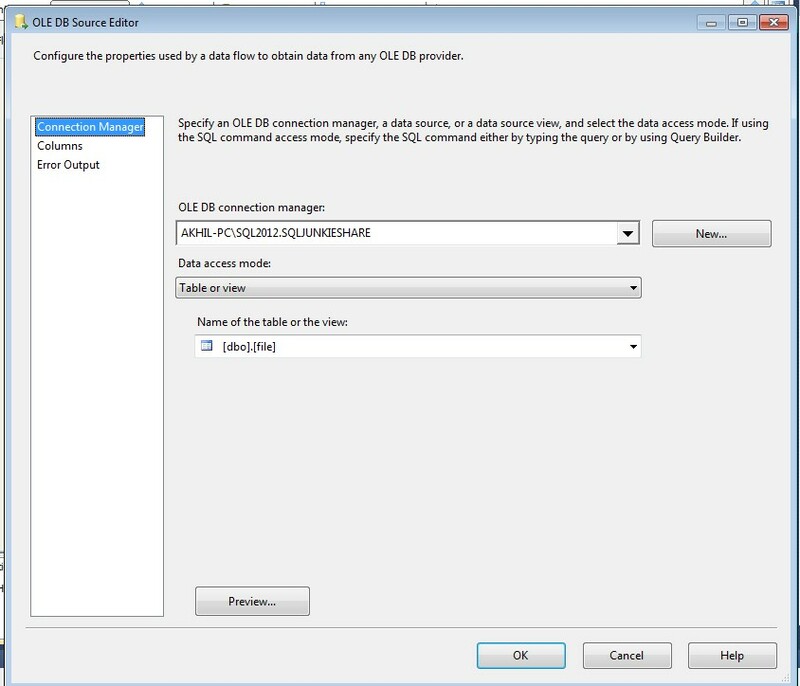 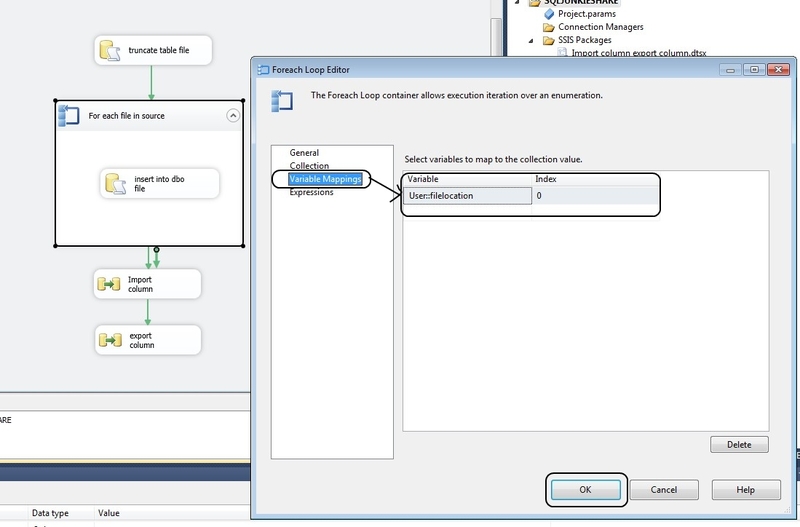 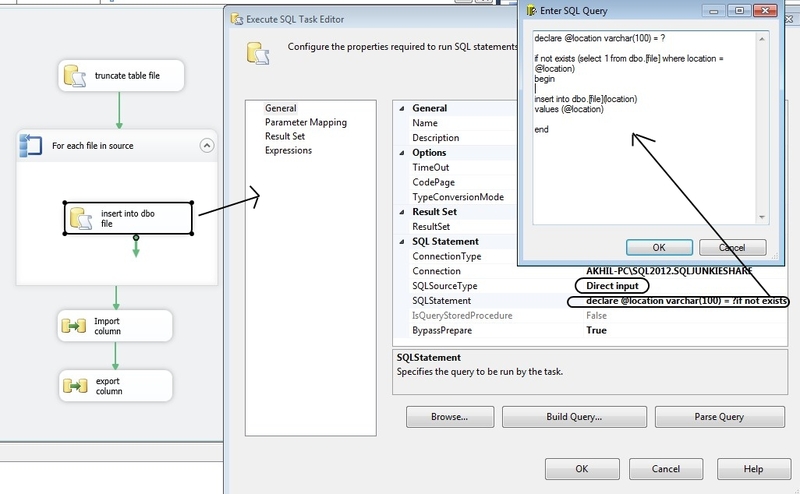 Possible failure reasons: Problems with the query, “ResultSet” property not set correctly, parameters not set correctly, or connection not established correctly. 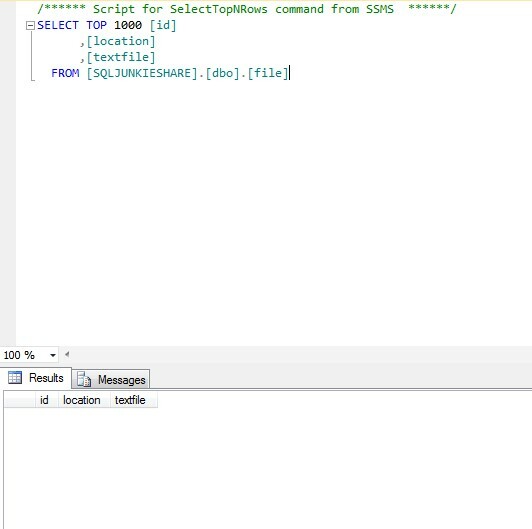 Please help mi to find out the solution. 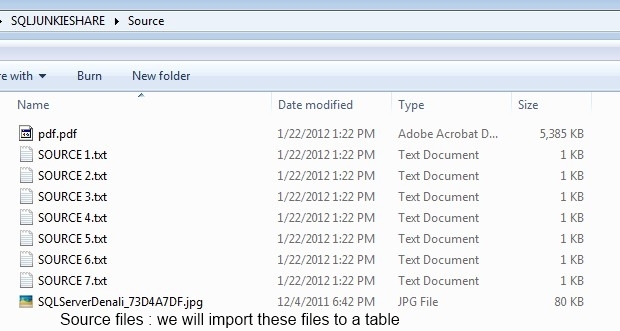 Please. 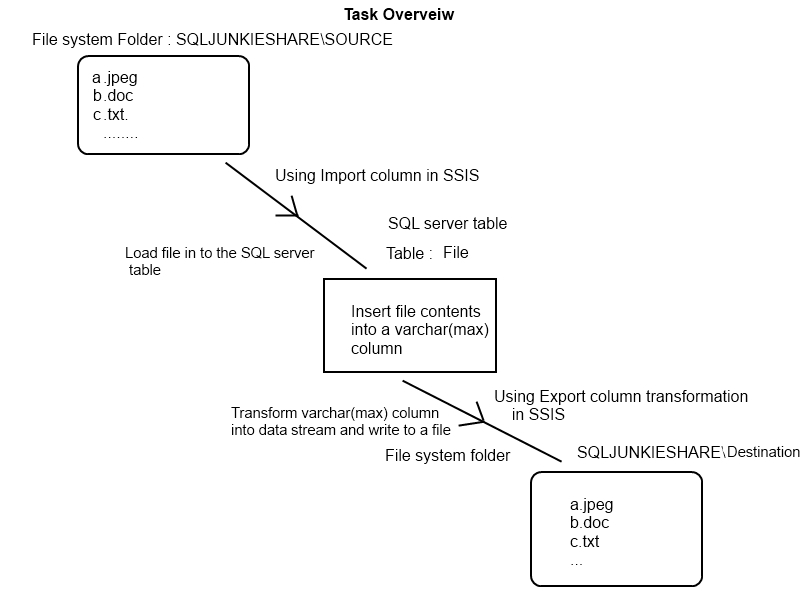 Nice article.done without any error.